It was a warm April morning during my long weekend in Deerfield Beach, Florida, and I was packing for my flight back home that afternoon. Of course, a last-minute kayaking adventure was in order. 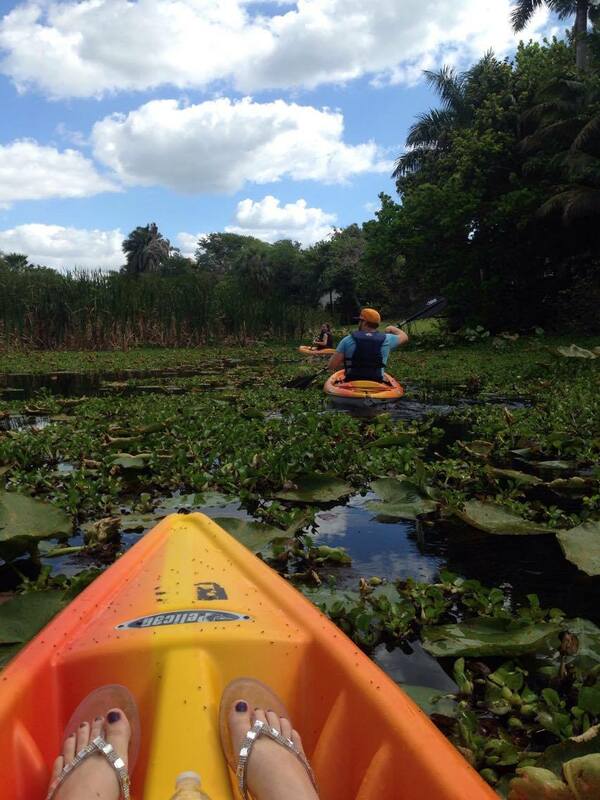 But not your ordinary smooth water-gliding adventure, but an experience through a lagoon clogged with lily pads. Challenge accepted. So where is this mystical-looking work-out wonder world? Located in Fort Lauderdale, the lagoon is part of the Hugh Taylor Birch State Park. 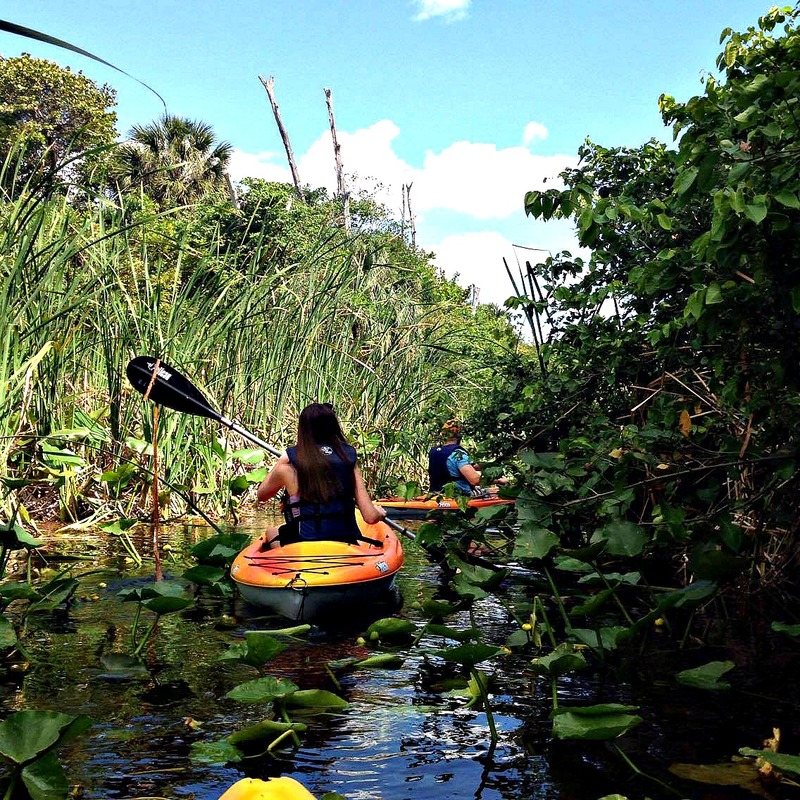 Kayaking aside, the natural community also includes activities such as stand-up paddle-boarding, canoeing, segway tours, hiking, biking, and camping, all at reasonable prices. From what I’ve experienced, the staff is friendly, chatty, and knowledgeable about their surroundings. On our quest through the tangled aquatic plants, we came across quite a few animals. Unfortunately we didn’t get to meet any manatees, and luckily we didn’t cross paths with any alligators! 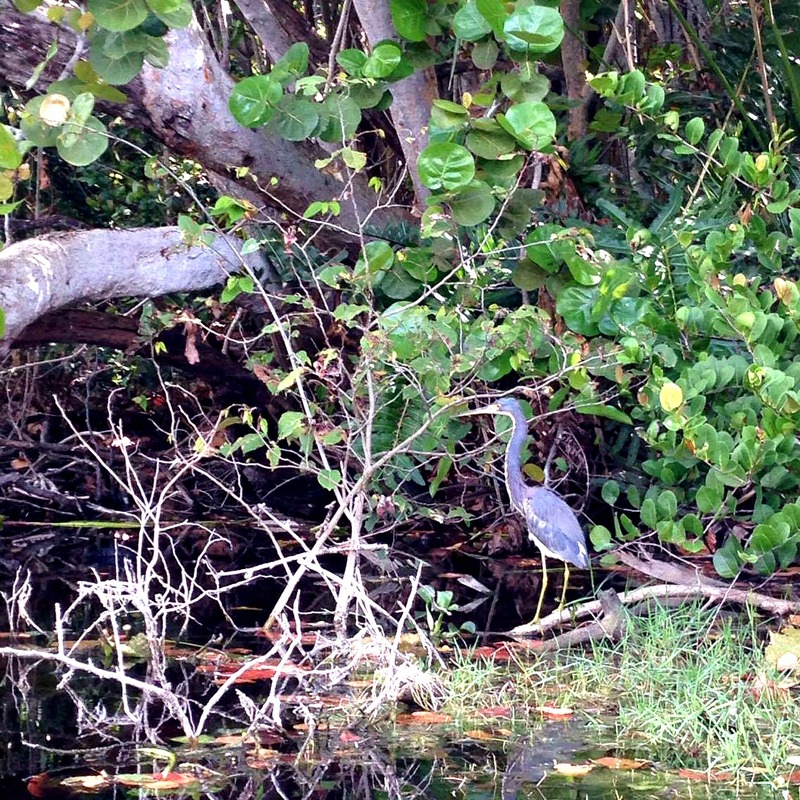 We did get to see turtles, blue herons, an iguana, and lots of pesky gnats. That’s Florida for ya. Hugh Taylor Birch State Park is a go-to spot for families, couples, and friends who appreciate nature while at the same time enjoy getting a bit of a work out. As it’s conveniently located across the street from the beach, with plenty of restaurants and shopping nearby, it’s the perfect place for an active day trip. For more information, visit floridastateparks.org. All photos were taken by Mallory Adams. 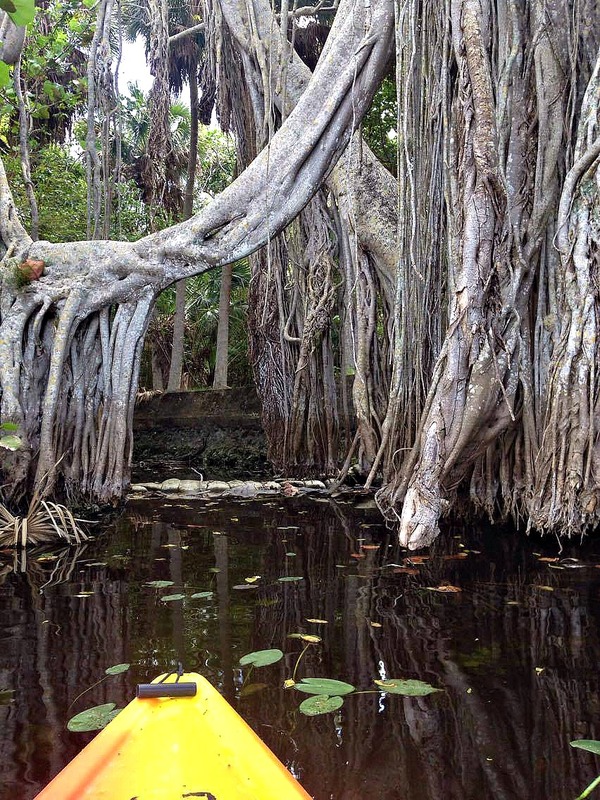 For the original post on Sprangled, click here: Kayaking through a Lily-Pad-Infested Floridian Lagoon. Looks like an amazing adventure. It’s all about taking that risk! Nah, it was fine — no gators there. I’m sure you can find fab adventures if you look for them. As always, gracias for reading!